Max is back!!! Wait no Mel Gibson… oh well, come Mr Hardy show us your take on Mad Max! Looks pretty good, but can it really match the original film series? 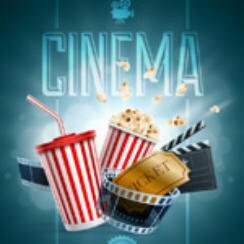 New to Popcorn Cinema Show? Take a look around, we are still adding stuff all the time, subscribe and leave a comment either on the Mad Max Fury Road trailer or what you really want from a movie site, apart from free movies of course. Check out the latest Blu-ray deals page for some great bargins or take one of our movie quizzes. Please leave a constructive comment, because we need you guys to help inprove our site / expericence.